Stir in garlic, tarragon and oregano. Add scallops and season with paprika, salt and pepper. 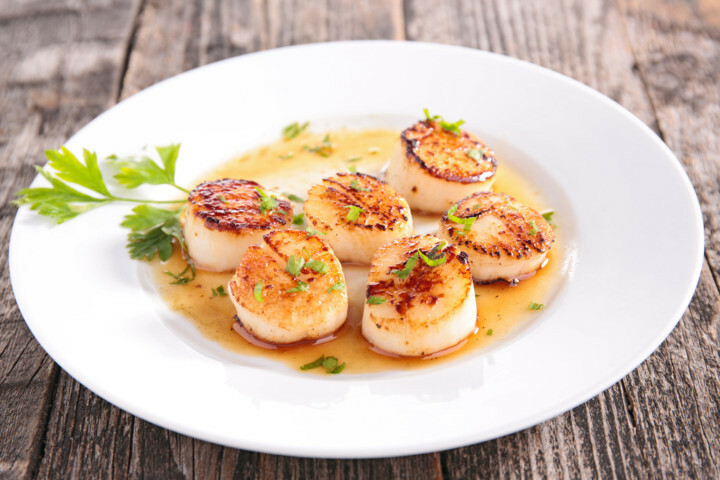 Squeeze lemon juice over scallops and saute for 5 minutes or until scallops turn opaque. Increase heat to medium-high and add sherry cooking until there is almost no liquid in pan. Sprinkle with paprika, parsley and lemon slices.